Your summer days are limited, people, so take advantage of the sun while you can. 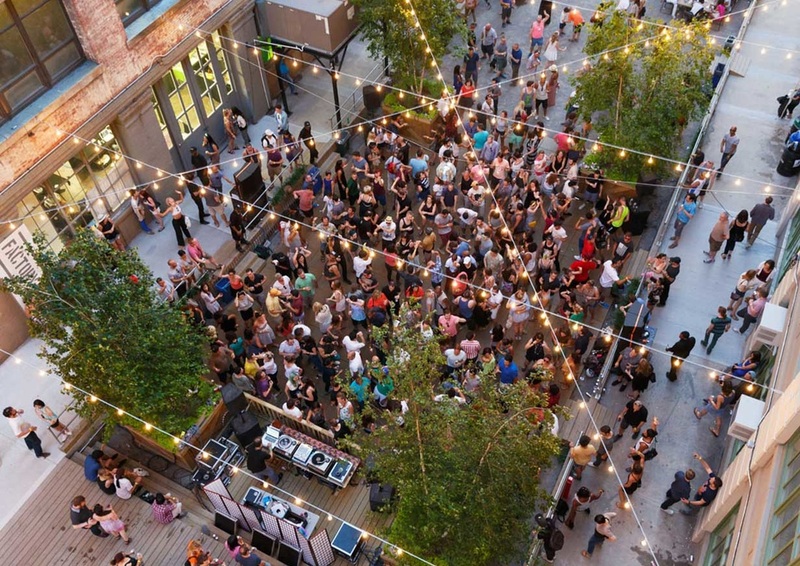 Going down in Industry City's courtyard on September 17th, Time Out will be sending off summer in style with all the best stuff the season has to offer. Coronas and Tullamore D.E.W. cocktails will be flowing as you feast on the mouthwatering tastings from our friends atBlue Smoke, HandCraft Kitchen & Cocktails, Jongro BBQ, Dinosaur Bar-B-Que, melt bakery, and Pirate's Booty. To top it all off, you’ll be noshing away to the backdrop of live music and photo booth fun! Grab your sunblock and let’s go! *Must be 21 or older to attend, with valid ID. Towards summer's end we glide. Appreciating those longer days when we dance until the darkness arrives. One more time I hear you cry? One more day into one more night. Eyes closed tight. The sun warms our skin as smiles bring us closer together. Opening pathways to places yet unknown. Let's travel this path together my friend. One more time before summer's end. We'd really love you to join us on Sunday September 18th as we drift slowly out of summertime with All Day I Dream's New York summer season closing party. A certain melancholy always fills our hearts when we think of our season coming to a close but an enormous amount of excitement and joy takes it's place as we anticipate quite how fantastic you'll make it. After cleaning the dust of a desert or a city off yourselves we encourage you to allow your magical spirit to continue burning brightly amongst friends and sweet strangers. A day of beautiful music awaits the setting over the Hudson river. Lee Burridge will be joined by current studio partner and wasteland adventurer Lost Desert who makes his New York debut as well as Hoj. Each a deeply special part of the All Day I Dream family. Each a storytelling magician of music. But back to you. We've said it before but it's always a little bit better if you're there. The Global Citizen Festival comes to The Great Lawn in Central Park on September 24th! Rihanna, Kendrick Lamar, Selena Gomez, Major Lazer, Metallica, Chris Martin of Coldplay, Usher, Ellie Goulding, Cat Stevens/Yusuf, Yandel, and Eddie Vedder. Salma Hayek Pinault, Chelsea Handler, Deborra-lee & Hugh Jackman, Seth Myers, Neil Patrick Harris, and Priyanka Chopra. Dessert Goals is New York City’s first ever dessert fest. Because dessert is always a good idea. Featuring 20 of the best dessert vendors from all 5 boroughs, this is going to be a day of indulgence, deliciousness and stretchy pants. It's happening October 23, 2016 (#SavetheDate now -- this is gonna be the cheat day of the year). Price: Tickets to be announced soon! Sign up for the newsletter at www.dessertgoals.com to be the first to know. Halloween Weekend in New York City is shaping up to be one of the most insane holidays of the year. Remember going door-to-door trick or treating every Halloween? Well the impressive grown up version is clubbing for Halloween! Except the costumes are wilder & dollars are up for grabs @ Stage48 Not to mention the DJs & MC this Halloween are some of the most famous performers in New York City. You are cordially summoned to join Manhattan's beautiful angels, demons and the lost ones in between as we delve into the opulent world of incomparable hedonistic revelry at its finest. Deep within the inner sanctums of Times Square's most divine mega nightclub rises Vampire's Monsters Ball 2016, an event that will surely be the talk and toast of the New York City. Lose yourself surrounded by decadent debauchery, hellfire energy, sinful escapades and naughty masquerade. The Monsters Ball and Costume Party is definitely going to be one of the best events going on this Halloween night in New York City ! The party will be at the world famous STAGE48, one of the most fashionable event spaces in Times Square NYC! The venue’s decor has been described as “high fashion,” and it even has a run way that goes down the entire room, so you’re gonna want to make sure that you come up with the best costume you can! Who knows, you may even take home the $1000 cash prize for best costume! Bottle Service Gratuity (20.00%) is a mandatory charge; paid to the venue on the night of the event. It is NOT included in the package price. So Don't miss out on the best Halloween Party in New York City. It is action packed and you won't want to miss a beat or a trick or treat. This Event Sells out every year. Get your Tickets Now!